More than 470 acres of prime London land will be freed up for the construction of 17,000 new homes as Victorian gasworks become things of beauty. Victorian gasworks which have blighted London neighbourhoods for generations are being decommissioned and transformed into showpiece homes, their listed buildings imaginatively designed into new schemes. The initiative follows Chancellor George Osborne's plan to accelerate development of disused industrial sites, so-called brownfield land, for up to 200,000 new homes, and Mayor Boris Johnson's creation of 20 housing zones for 50,000 homes. National Grid, which operates the gas and electricity network, owns 470 acres of surplus brownfield land in London and the South-East and says more than 17,000 homes could be built there during the next decade. Mr Osborne's aim is to fast-track housing on brownfield land by ordering councils to "pre-approve" planning applications. Local authorities will be able to specify only the type of housing, not whether there is housing, allowing developers to start building sooner. The Government has set up a fund to help local authorities prepare planning orders paving the way for development. Initially, the amount is £5 million but it could be increased to £500 million as more sites are identified. Sands End, next to the smart, gated Imperial Wharf development on the Fulham waterfront, is one site where 1,800 new homes can be built. Others in Battersea, Southall and in Hornsey, bordering Alexandra Palace, are also being brought forward for housing. The famous gasholders overlooking the Kia Oval cricket ground in Vauxhall, while not owned by National Grid, are possible candidates, too. 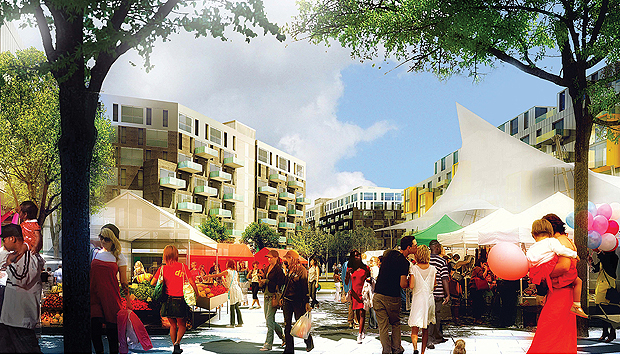 An 85-acre site bordering Grand Union Canal in Southall is the first project out of the blocks. National Grid has formed a joint venture with developer St James to build a huge new neighbourhood, with 3,750 homes, a primary school and offices for small and medium-size businesses. 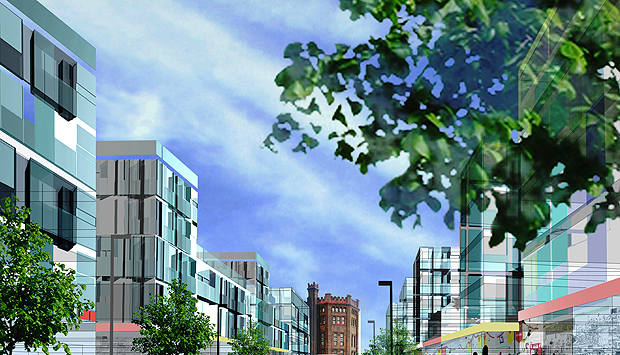 The development will integrate with a new Crossrail station. Work is due to start next year, with the first homes completed in 2019. "London has a great history of building on this scale, like Bedford Park and Hampstead Garden Suburb more than a century ago," says Sean Ellis of St James. Meanwhile, four gasholders on five acres next to Battersea Power Station are being dismantled and 750 homes built. The site weaves into a new riverside park linking all the developments along Nine Elms. National Grid has also signed a deal with Redrow to build 900 homes at Ebbsfleet, one of the Government's new garden cities. 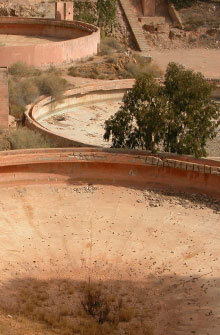 Not all gasholders are judged a blot on the landscape. At Imperial Road, Fulham, one of the six gasholders, the world's oldest, is listed and will be "designed into" the overall scheme. Four other listed buildings on the 17-acre gasworks site will be kept after conservation groups including the Victorian Society campaigned for the protection of gasholders, arguing they are a cherished and important part of Britain's industrial architecture. Several prized gasholders that are not owned by National Grid are at King's Cross Central, a new 67-acre district being built on land behind the railway station, are being re-used. Three of them, known as the Siamese Triplet because their decorative frames and lattice girders are joined by a common spine, are being restored and re-erected around a series of spectacular drum-shaped apartment blocks with roof gardens. Another of the magnificent listed cast-iron structures has been carefully dismantled and moved to a safe site prior to being reassembled at King's Cross and transformed into a new canalside park. A reflective stainless-steel canopy will create a cloister around a circular lawn. By day it will be a leisure area and at night subtle lighting will transform the space into a destination for events. Several apartment blocks being built alongside the gasholders are designed to dovetail with the heritage architecture. The Plimsoll Building has 178 flats and houses above two new schools, in a union consistent with the diverse mix at this sparkling new neighbourhood — home to Google and Central St Martins College of Art and Design. The Plimsoll Building design features textured brick cladding, an internal podium garden, a triple-height entrance foyer with a glass "scenic" elevator to the upper floors, and a rooftop conservatory, art gallery and three communal terraces. A business lounge and dining space will be open for meetings and private events, and there will be a gym. Three-bedroom flats cost from £1.65 million. Call Knight Frank on 020 7861 5499. National Grid's 11-acre Hornsey site already has planning permission for 1,080 homes. One of the 19th-century gasholders was built using an innovative geodesic design, an early example of a building style associated with the curves of the Gherkin in the City. Renamed Clarendon Square, the gasworks is to be transformed into a new urban quarter with a mix of housing types, a public square and a series of linked streets and green spaces. Old gasworks first have to be decontaminated, which can be an expensive and protracted process. 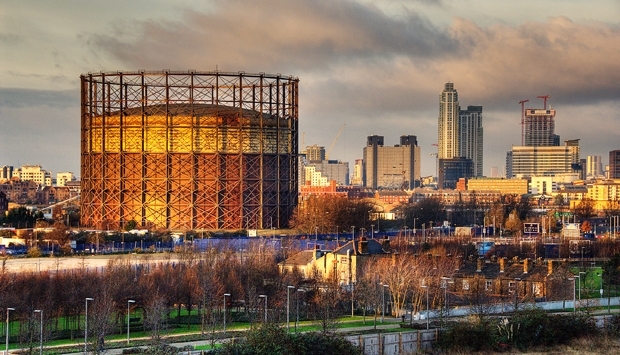 For more than 100 years Greenwich Peninsula, site of the O2 arena, was dominated by a gasworks. Before the new wave of development commenced, 120 tons of benzene and other hydrocarbons were removed from the soil. Hong Kong developer Knight Dragon plans to build at least 3,000 homes on the 147-acre site.